The Call of the Wild A short adventure story set in Yukon in Canada, during the Klondike Gold Rush in the 1890's where sled dogs were readily available and used. Written by Jack London and published in 1903, after spending time in Alaska during the Klondike Rush where he felt like he had found himself. In his time there he would have seen many dogs being used as sled dogs. The story concentrates on a dog called Buck, who stolen from his home and sold as a sled dog in Alaska. In this relentless environment, Buck becomes increasingly feral being forced into fights to survive and dominate over dogs. By the conclusion of the novel, he sheds all fa ade of civilisation and emerges as a leader in the wild relying on primordial instinct and experience. The Call of the Wild falls into the genre of anthromorphized fiction, in which the characters are animals that take on human traits. In the novel, London attributes human insights and feelings to Buck, which lead to him being accused of being a nature faker by giving unnatural attributes to an animal. The novel is also an example of pastoralism in America due to the hero returning to nature. According to this Buck symbolises a reciprocation against industrialisation and social convention with a return to nature. This motif is presented simply, clear and incredibly powerful in the novel making it a tale that is essentially fervently American. The everlasting appeal of this story is that it combines fable, allegory and parable. It incorporates elements of age old animal tales and fables such as Aesops Fables in which the aimals are the proclaimers of truth or traditional beast fables in which the beasts "substitute wit for insight." Influeneced by works such as the jungle book, London added more layers to his tale intensifying the meaning in his story, that was deficient in the other stories of the same genre at the same time of his writing. The format of the story can be divided into four parts. In the first part, Buck experiences violence and terror and struggles for survival, in the second, the partproves him the leader of the pack, in the third part he dies( symobolically and almost literally) and the fourth part is a rebirth. On the surface the Call of the Wild is a tale of a return to primitivitism and survival, however, it is much more than that too. It is a tale of love and redemption also, this is shown when Buck refuses to revert back to violence, until after the death of Thornton, a man who had earned his love and respect. London was well aware of the love and loyalty between a dog and his master and therefore has shown this in the literary work. The novel also bings into question the debate of nature vs nurture. Buck although for all intents and purposes a domesticated animal, he is in fact by hereditary a wolf. The change of environment that he finds himself in a release his innate characteristics and instincts causing him to use brute strength and survival to figt to become the leader of the pack. This also appeals to human nature as there is a theme of strong prevailance when faced with austere circumstances. In this London exposes the brutality that lies at the core of society and the ease that humans feel at sliding into a state of primivity. 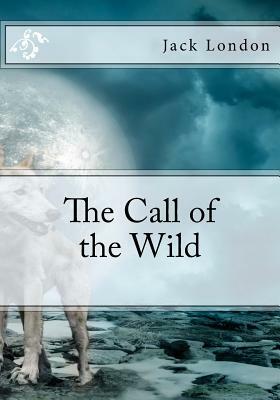 The Call of the Wild was incredibly popular at its time of publication, with the first stock of 10,000 selling out immediately. It remains one of the best known stories written by an American artist and earned London a place in the canon of American literature.